Všichni kačeři se vrátili zdárně do ČR, je třeba udělat poslední věc - archivaci listingu. 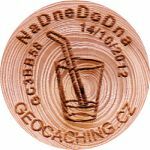 Event about meeting with each other, especialy with Czech geocachers. 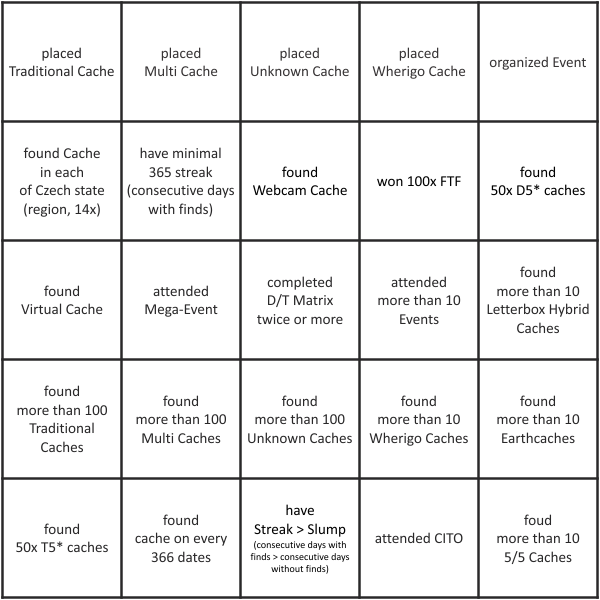 Event with little bonus for those who solve our BINGO. 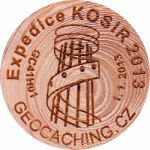 Just meet Czech geocachers and get their stamp in correct boxs. 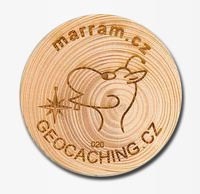 Then you can get small Czech geo-gift. 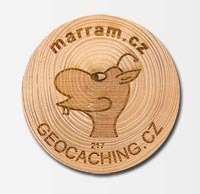 The northernmost Mega-Event took interest for group of geocachers from Czech Republic. We believe that the opportunity to meet and greet local geocachers will be plenty, but we want to offer one particular option - event. 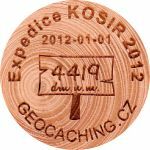 As a thank you for your being part of event and active participation in our event program will deliver a Czech phenomenon - CWG (Czech Wood Geocoin). 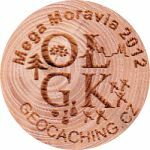 It is a wood made sigitem, today there are more than 10,000 of these motifs of CWG. To get this gift, we will ask you to fill in the following bingo. 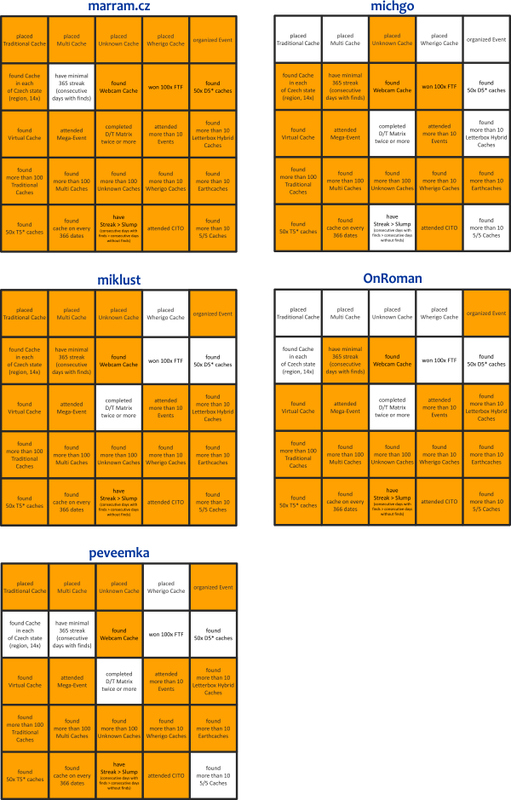 You do not fill it all, it's a bingo, so just fill in one row or one column or a diagonal. 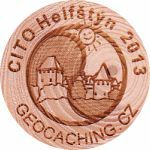 Here you can see five of Czech geocachers who plan to attend this event (maybe there will be more, who knows? :)) and his completion of BINGO. Now you can plan which row or column you will fill with their stamps and who do you need to meet: BINGOs.